This program allows students to focus on developing their creativity and practical skills with a degree designed for the digital age. It offers a mixture of practical and theoretical courses in key areas of digital media such as, 3D and 2D computer animation, digital visual effects, digital video, digital compositing, interactivity, coding, site-specific projection, on-line design, virtual reality, sound, and hybrid media. As a digital arts student you will have access to the facilities at the ANU School of Art & Design, and be able to develop your own individual and collaborative projects in the context of other researchers at the ANU. At ANU, our award-winning and innovative degree programs put you in the driver’s seat and prepare you for jobs of the future. We are ranked #1 in Australia and #20 in the world for graduate employability (QS Graduate Employability Ranking 2017-18). When you graduate, your education, experiences and achievements at ANU will help you stand out in a global jobs market. You can choose from single degrees, Flexible Double Degrees, Flexible Vertical Double Degrees and research-intensive degrees; all designed so you can tailor your studies to suit your strengths, passions, and career aspirations. 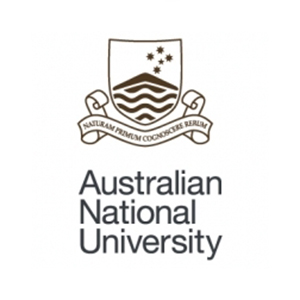 As Australia’s only national university, we have unique relationships with government, business and other leading institutions around the globe. This gives you opportunities to gain real-world experience through internships in Australia and overseas, such as the Washington internship in the US Congress for political science students. ANU offers services to support all aspects of student life – academic, social and personal – so you can get the most out of university and beyond. Develop the academic, critical thinking and communication skills you need to succeed at university. ANU Academic Skills and Learning Centre gives you free and confidential help with your studies through one-on-one tutorials, workshops, podcasts and handouts. No matter your background or circumstances, ANU Access make sure you have the same access to opportunities as everyone else. Every now and then life can get tough. ANU Counselling Centre is a free, professional and confidential service for students facing difficulties. They also run group and seminar programs to support ongoing student health and wellbeing. A fully accredited primary health care provider for ANU students and staff right on campus. International students are billed through their Overseas Student Health Cover. Need career guidance? ANU Careers Centre provides career planning and development tools, advice and job seeker services for current students and recent graduates. If you run into issues with accommodation, budgeting, study, or need legal advice or advocacy, ANUSA can help. They also oversee the many student-run clubs and societies on campus. Make friends, keep fit and achieve through healthy competition. ANU Sport provide an exciting and professional range of sport and physical recreational activities.